Join with the School of Medicine Alumni Association and sponsor a student's first white coat and stethoscope – two important symbols of their entry into the medical profession. 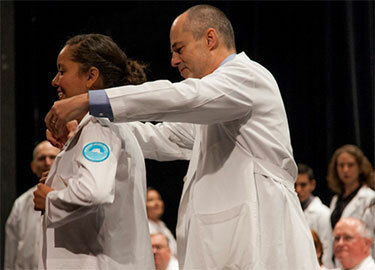 The White Coat Ceremony is a rite of passage for entering medical students as they are welcomed into the medical community. The ceremony emphasizes the importance of humanism, compassion and honor as integral parts of a medical career. In addition to receiving their coats, students also receive a gift certificate for their first stethoscope. How can you help? $200 sponsors an incoming medical student with a white coat and stethoscope gift certificate. Every spring, graduating students gather to share in the excitement of learning where they will complete their medical residency. The School of Medicine Alumni Association sponsors a parting gift for graduates. The Alumni Association allocates $2,000 per school year to help sponsor students to further their education through conferences, research and professional development opportunities. Once a travel grant is awarded, the student is asked to share their experience with the Alumni Office and their peers. How can you help? $500 assists with student travel grants. 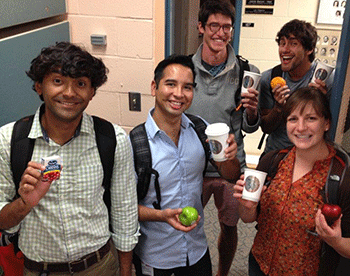 The Student Nook is a fun, friendly and healthy place for medical students to take a break between classes. Located in the Advancement and Alumni Relations Office, the Student Nook features Keurig coffee, fresh fruit and a variety of healthy snacks. How can you help? $50 contributes to the Student Nook. Residents are invited to apply for 90-day interest-free loans. These loans assist them with unexpected expenses. Residents can apply for Emergency Loans for up to $500 in the Advancement and Alumni Relations Office. How can you help? $1,000 assists with scholarships. 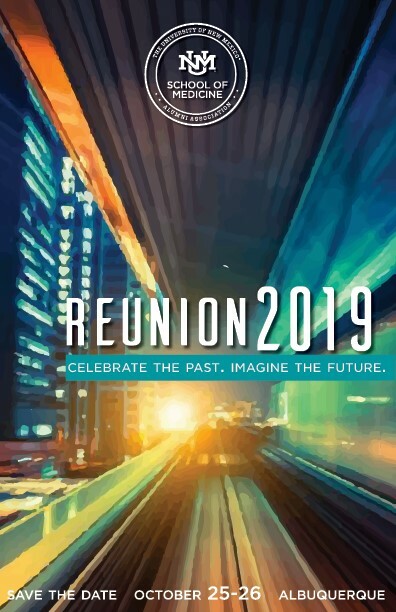 Reconnect with your School of Medicine classmates and fellow alumni at the annual reunion. Activities include campus functions with leadership, a family friendly event, class dinners and the alumni awards banquet. Nominations for the 2019 School of Medicine Alumni Awards are now open. Awardees will be honored at the Alumni Reunion Awards dinner on Oct. 26, 2019, in Albuquerque. Submission deadline is May 31, 2019. Fill out a nomination form today: Distinguished Alumnus of the Year, Leonard M. Napolitano, PhD Award, and Visionary Site of the Year. For more information, contact abassett@salud.unm.edu. About the award: The true measure of the UNM School of Medicine's greatness is found in the achievements of its alumni. The Distinguished Alumnus Award recognizes an alumnus who has made significant contributions to society, and whose accomplishments, affiliations and career exemplifies the School of Medicine’s legacy of excellence. 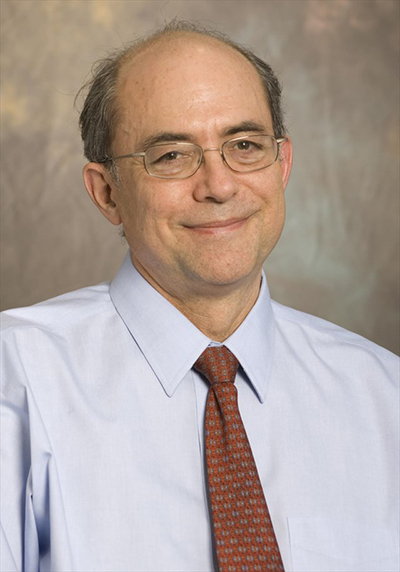 Dr. James F. Leckman, Class of 1973, is currently the Neison Harris Professor of Child Psychiatry, Psychiatry, Pediatrics and Psychology at Yale University. He is the author or co-author of more than 470 original scientific articles published in peer-reviewed journals. Dr. Leckman has a longstanding interest in Tourette syndrome and Obsessive-Compulsive Disorder. His research on these disorders is multifaceted, from phenomenology and natural history, to neurobiology and genetics, to risk factor research and treatment studies. He and his team are currently working around the globe (Brazil, Turkey, Lebanon, Saudi Arabia, and six other low- and middle-income countries) to develop, implement and vigorously assess early parent-child programs to promote child development, social cohesion and peace within families and communities. Dr. Alfred J. Mateczun, Class of 1978, is the director of the Biological Research Defense Directorate at the Naval Medical Research Center. Prior to attending medical school, Dr. Mateczun attended the U.S. Air Force Academy, earning a Bachelor of Science degree in engineering. He served in the Air Force as a pilot, with assignments taking him around the world, including Vietnam, in 1967-1968. He entered the U.S. Navy in 1977 through the Senior Medical Student Program and completed an ophthalmology residency at the Naval Regional Medical Center in Oakland, California. Dr. Mateczun’s medical accomplishments include developing vaccines for anthrax, plague and other agents, developing detection tools for ricin, improving biological detection tests, inventing and patenting a method of preserving dried bacteria, and successfully using bacteriophages – viruses that target and consume specific strains of bacteria – to treat a patient near death from a multidrug-resistant bacterium. 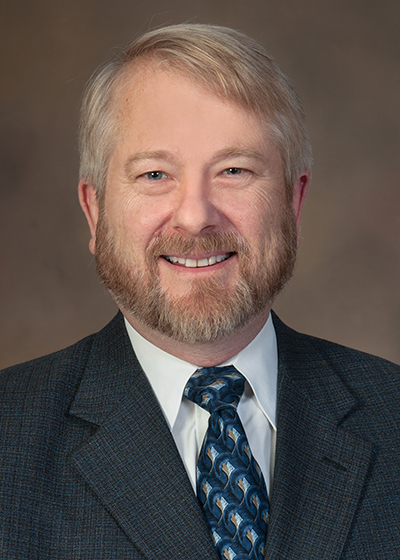 Dr. Dan Derksen is the Walter H. Pearce Endowed Chair and director of the Arizona Center for Rural Health and professor in the Community, Environment and Policy Department at the University of Arizona Mel and Enid Zuckerman College of Public Health. 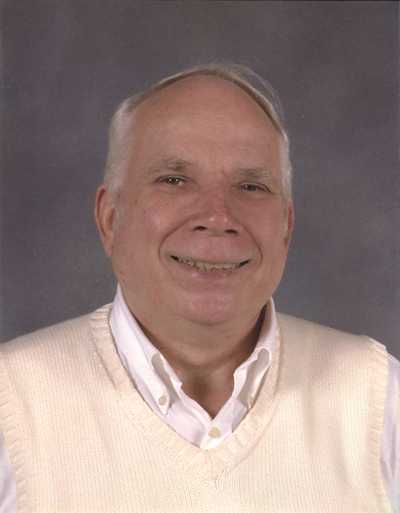 Dr. Derksen completed his family medicine residency at UNM and served on the faculty for 25 years. In 2007- 2008, he was a Robert Wood Johnson Foundation health policy fellow with U.S. Sen. Jeff Bingaman. He researched and drafted provisions to improve the supply and distribution of the nation’s health workforce that were enacted in 2010. Under New Mexico Gov. Susana Martinez’s administration, he established New Mexico’s health insurance marketplace, which currently covers more than 50,000 individuals. He continues to advise on health policy issues at the federal and state levels around issues of access, health coverage, rural health, workforce, interprofessional health professions training, quality improvement, health outcomes, policy legislation, regulation, program implementation and evaluation. About the Award: Visionary Site of the Year is a new award recognizing New Mexico health systems that embody the mission of the UNM School of Medicine in their dedication to education, creating a diverse network of health care professionals and providing compassionate care to all New Mexicans. Support current and prospective medical students and house staff. Raise funds to support the School of Medicine. The Board of Directors is dedicated to making a positive impact on the UNM School of Medicine by supporting medical students, house staff and alumni with activities, awards, scholarships, emergency loans and other special initiatives. We are currently expanding our board into your region of the country. Please inquire about our web-conferencing opportunities for you to join as a board member.